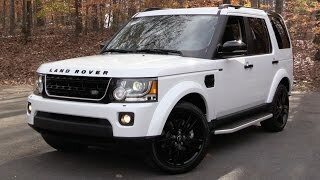 During this year's New York Auto Show the Land Rover Discovery 4 HSE Luxury Limited Edition was somewhat of a pleasant surprise for every all-purpose vehicle enthusiast present at the event. 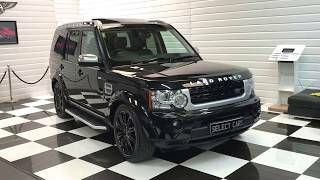 Aside from the more obvious but still subtle changes in terms of exterior design, the Land Rover Discovery 4 HSE Luxury Limited Edition boasts increased performance and a higher level of luxury. 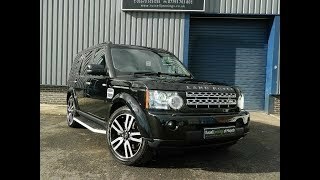 The Land Rover Discovery 4 HSE Luxury Limited Edition is quite versatile under the bonnet and comes with one of four engine versions. The first, less powerful choice is a 208 horsepower 3.0 LR-TDV6 diesel engine able to accelerate from 0 to 60 in 9.9 seconds. The more powerful variant comes with a 252 horsepower SDV6 diesel engine able to accelerate from 0 to 60 in 8.8 seconds. Both the 208 and 252 horsepower diesel engines develop a top speed of 112 mph and are paired up with a ZF HP70 8-speed automatic gearbox which boasts improved efficiency and less CO2. 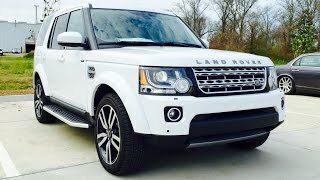 The beefiest engine variant found on the Land Rover Discovery 4 HSE Luxury Limited Edition consists in a 5.0 liter LR-V8 engine that produces 370 horsepower, a top speed of 121 mph and is able to accelerate from 0 to 60 in 7.5 seconds. The 5.0 liter engine is complemented by a ZF HP28 6-speed automatic gearbox. The fourth engine variant is mostly destined for the European markets and countries still confirming to EU4 regulations. This particular Land Rover Discovery 4 HSE Luxury Limited Edition variant will sport a 3.0 liter LR-SDV6 engine producing 241 horsepower. 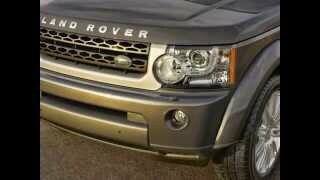 The 3.0 liter LR-SDV6 engine will be paired with a 6-speed automatic transmission. It doesn't take look to notice that the exterior of the Land Rover Discovery 4 HSE Luxury Limited Edition received a few enhancements, including bright silver full-length roof rails, chromed door mirror caps, silver tailgate badge and silver bonnet script. The front end of the car features Indus Silver fender vents and grille surround, whilst the grille vents have been painted in body color. The Land Rover Discovery 4 HSE Luxury Limited Editioncomes with one of three body colours: Orkney Grey, Santorini Black and Havana. Furthermore the Luxury Limited Edition comes with a set of 20-inch 10-spoke alloy wheels. The interior of the Land Rover Discovery 4 HSE Luxury Limited Edition has not been left out and offers a higher degree of comfort and luxury than its standard sibling, presenting Dark Zebrano veneer, Premium Windsor Leather with Ivory stitching, unique Arabica seat colour that is to be found only in the Range Rover and heated steering wheel finished in Arabica or Ebony leather. Additional extras include Xenon Adaptive Front headlamps with Cornering Lamps included and a Harman/Kardon LOGIC7 Premium Audio system offering 825W of power. Pricing and launch date will be officially announced later on when we'll be able to put theLand Rover Discovery 4 HSE Luxury Limited Edition head to head with the 2012 GMC Acadia and the 2012 Ford explorer.